Moving forward requires a little speed, and smart business leaders know when to put the pedal down. A different approach to sales. You’ll gain momentum from an outsourced CSO (Chief Sales Officer), who can build a pipeline and position you for more funding, as well as hire, develop and train your sales team, establish KPIs, even be your sales closer. Simply put, we can accelerate your sales and revenue. Do you need a chief sales officer and a solid sales team but can’t afford the cost or time to build a team yourself? Are you looking to be acquired, or need help reaching the next funding round? Do you simply want to reach a self-sustaining monthly recurring revenue? We can bring experienced sales leadership to give you the navigation you need. 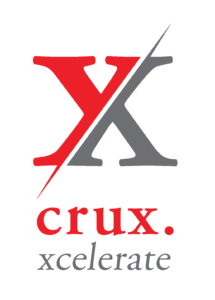 The vision for Crux-Xcelerate was born from Crux KC, the first “un-agency,” merging executive-level marketing and business strategy to provide a simple, smart and affordable marketing solution for clients. From working with startups to build their marketing strategy, we realized the need for a sales solution was equally important. The beauty of this sales and marketing partnership benefits you: You’ll reap the rewards of experienced sales and marketing leadership, all at a fraction of the cost—instantly doubling your value. 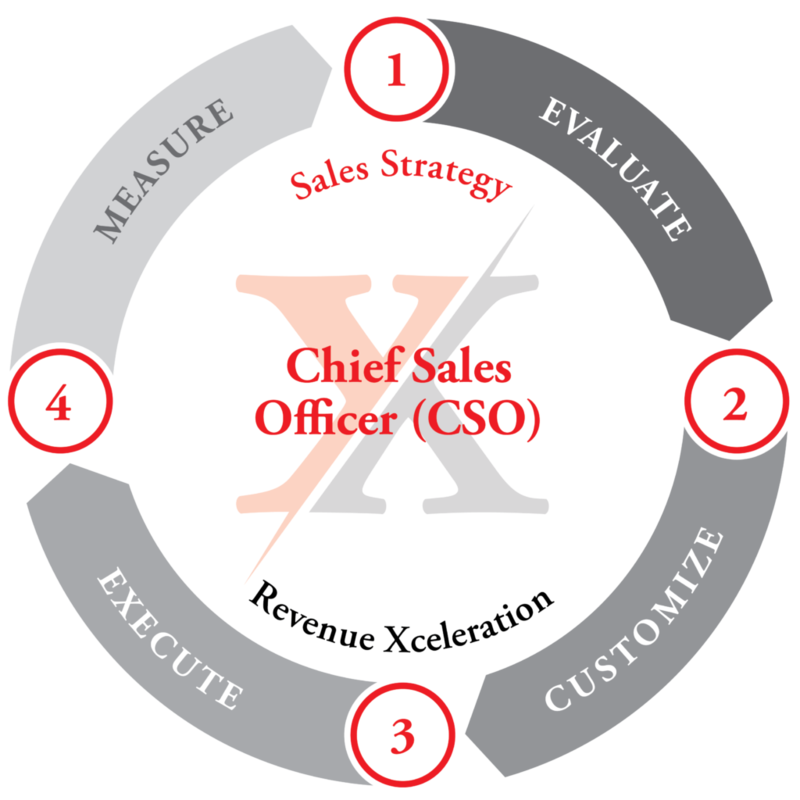 Xcelerate your sales with a fractional CSO! Step 1: We’ll evaluate your sales program and create a new target list and attack plan. Time frame: 2-4 weeks. Step 2: We’ll create a customized playbook with recommendations we can immediately implement. Time frame: 2 weeks. Step 3: It’s time to implement and execute the plan to create revenue. Time frame: Ongoing. Step 4: Constantly measuring and analyzing, we’ll pivot as appropriate to optimize our results—ultimately building an internal sales team. Time frame: Ongoing. As co-founder and advisor to Crux-Xcelerate, Rick Kahle brings 30 years of sales, consulting and leadership experience to benefit clients. 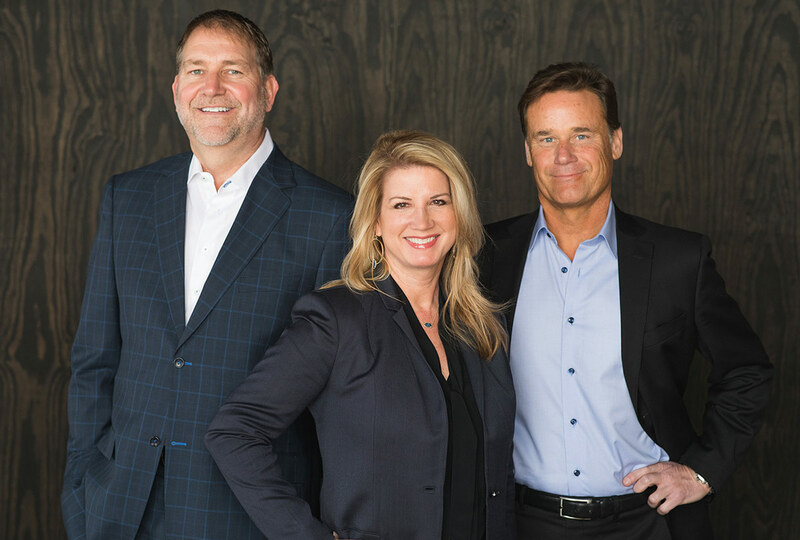 The first 27 years of Rick’s career were spent in executive sales and leadership positions in the commercial insurance brokerage and consulting industries—initially with the Kansas City office of Gallagher, then for nearly 15 years with Lockton Kansas City. His primary responsibilities included growing his own book of business (20%+ average/year), organically growing local office revenue (14%+ average/year) and collaborating with national peer leaders to grow the national practice (13%+ average/year). When you’ve been in your client’s shoes, knowing what makes them tick and what it takes to move the needle comes naturally. Along with her unique perspective, clients have counted on the straightforward, “tell it like it is” approach. With more than 20 years of marketing experience ranging from leading internal marketing teams to building brands, her knowledge of marketing communications is anything but one-dimensional. Melea has extensive experience leading client-facing marketing departments where she earned the reputation of an insightful brand strategist. Whether she’s strengthening an existing brand or building a brand from the ground up, her ability to get to the heart of a client’s business and establish a smart, strategic, fully integrated plan and push it forward is truly an asset. As CEO, CSO and co-founder of Crux-Xcelerate, Dave Johnson bring more than 20 years of experience in sales and business development with both startups and Fortune 500 firms. His reputation as a sales accelerator – as someone who “gets business done” – allows him to quickly assess an organization’s sales needs and then craft a strategy to achieve overwhelming success. In addition to talent recruitment, development and building successful sales teams, Dave also has expertise in strategic partnerships, big data analytics, data transformation, mobility, software, early-stage capital funding and M&A activities. Dave spent more than a decade with Sprint PCS, followed by a role as vice president of sales and innovation at YRC Worldwide. Eventually, Dave caught the startup bug, joining Guavus, an early-stage startup from Silicon Valley, where he served as the first vice president of sales and helped establish the startup as a leader in large-scale, streaming data analytics. Dave also served in executive roles at Airtouch, Amdocs and AetherPal.